Those who don’t learn from history are bound to repeat it and the real estate bubble will be no exception. While we may learn a lot of tough lessons and create new regulations and put legislation in place that is supposed to minimize the likelihood of something like this happening again, people seem to have short memories. This is especially true when money and greed is often involved. This current real estate crisis isn’t over yet, but over the next few years things will begin to improve, home values will again begin to appreciate, and many people will be anxious to get back into the market. There will be some things in place that will prevent some of the reckless lending that got a lot of people into trouble in the first place, it won’t stop people from buying a home for the wrong reasons and making the same mistakes that millions made in years prior. So, it’s up to us to know what to do and what not to do when the next real estate bubble takes hold so that we don’t get caught holding the bag. The most important consideration when buying a home is obviously the monthly payment. Whether you are renting or paying a mortgage, you need to pay for a place to live. So, all of our attention goes on the monthly payment. In the end, people feel if they can squeeze in the monthly payment into their budget then they can afford to buy the house. This is exactly what got us into the real estate mess to begin with. People and banks ignored many of the old rules of thumb that guided people into an affordable house. One rule of thumb is that your total housing expenses, including principal, interest, property taxes, and homeowners insurance should not exceed 25-28% of your gross monthly income. The Center for Housing Policy reports that in the last few years the number of working families paying more than 50% of their gross income for housing has jumped by 76%. Spending half of your income just on a place to live is an obvious red flag, but people do it anyway. It isn’t hard to understand why this is such a bad idea. If you’re a two-income household and one of you loses your job your income probably just got cut in half. If you were already spending half of your income on that house payment guess what? Now you’re going to be spending 100% of your income on the payment and certainly you have many other bills yet to pay each month. By keeping your total housing expenses down to the traditional limit of 28% of your gross income or less you will have some cushion in the event of a financial emergency. Zero-down loans were all the rage during the last real estate bubble. People were anxious to get into new homes and banks were anxious to get money, so the tried and true 80/20 loan got tossed aside. Of course in a market where homes are increasing by 10% or more each year this seems like a perfectly reasonable proposition. Why put your hard-earned cash into the home when you can leverage money from the bank to reap the rewards of appreciating home prices? Obviously, we now know that prices don’t always go up and those who have little or no equity from a down payment got hit the hardest when their home values turned around. You have to put something down on a new home purchase. Thankfully, many of the zero-down loans are gone, but there are still a few being made. And if it isn’t with no money down, banks are still lending with a little as 3.5% down in many cases. A down payment does two important things. First, the bigger the down payment, the less you have to finance. Obviously, the smaller the loan, the lower the monthly payments and less interest you’ll pay over the life of the loan. Second, it gives you that ever important financial cushion. If you put 20% down and the housing market remains soft for a while and you see no appreciation or even some depreciation in the value of your property and have to sell you aren’t immediately upside down on your loan. The market can drop 5 or 10 percent and you’re still in relatively good shape. If you put little or no money down and the property value falls that much you’re on the hook for a lot of money if you need to sell. One more thing you can do to ensure you aren’t a victim of the next real estate bubble is to simply buy a home for the right reasons. Home ownership has been pushed as the American Dream for decades, and for many it still is. There’s nothing wrong with that, but people can get caught up in this dream and jump into buying a house long before they are really ready. Buying a home just because you don’t want to rent any more, feel like you’re throwing money away, or because you’re told that’s just what you do when you get married and want to start a family is not how you should approach the decision. You first have to ask yourself why you want to own a home. Everyone has their own reasons, so you need to decide what makes a home worth it to you. When you know why owning a home is important you can then look for homes in n area and with certain amenities that will fulfill those needs. Second, understand that as much as you might want to buy a house, if you will likely need to move in five years or less then buying a home will usually be a big mistake. It’s often young couples just starting out in their careers that are anxious to get into a home only to find they need to move for their job or one of them finds a better opportunity elsewhere and then they are stuck trying to unload a house that has little equity. Don’t think of your home as an investment. In the past when real estate continued to appreciate year after year it was easy to get into the mindset that you could buy a home today and sell it for double what you paid in just 10 or 15 years. That was an anomaly and not how things usually work. In fact, even if you look at real estate prices over the past few decades it usually lags the stock market. Your home is a place to live and if you happen to make a profit when you sell you should just consider that a bonus. Finally, don’t underestimate all of the hidden costs that come with home ownership. It can be exhilarating to finally be free of a landlord, but with that freedom comes many hidden expenses and a lot of work. You’ll be responsible for shoveling your driveway in the winter, mowing the lawn in the summer, paying for all of the utilities, and repairing the household problems that are sure to arise. While these drawbacks usually outweigh the benefits of owning a home, if you don’t take the costs and time it will take out of your weekly schedule seriously it can be physically and financially draining. As you can see, there are a lot of ways that people get in over their head with their home. You may also notice that some of what I covered are things that the government or new mortgage regulations can’t fix. There may be some changes to what lenders are willing to loan you, but just because you can afford it on paper doesn’t mean it’s something you can really afford, and it certainly doesn’t mean you’re ready to buy a home at this particular stage in your life. Keep housing costs around 25% or less of your gross monthly income. The bank may come in with a higher number, but don’t just take money because they are offering it. Only you know your budget, job stability, and lifestyle that will determine what you can truly afford. By keeping your costs down you have some flexibility so that if there is a sudden change in your income you will have a better chance of making adjustments so you aren’t immediately unable to pay your bills. Make a down payment. 20% is the old rule of thumb, but that obviously isn’t doable in all markets. Even if you can’t afford a full 20% you should put down as much as possible. Even though an FHA loan may only require 3.5% down you really need to save even more. The sooner you can put equity into your home the better the chances you can weather a rocky real estate market when it comes time to sell. Buy a home for the right reasons. Forget the fact that everyone tells you the American Dream is to own a home or that by renting you’re just throwing money away. If you aren’t ready to buy a home, don’t jump into it too soon. Doing so could put you in a bad financial situation. Sure the real estate will get boom in couple of years.. people will get more knowledge in future how to get new house/flats and sure the market will rise..
Good advice! But the next bubble may be closer than you think, we're facing a dilemma where either interest rates on mortgages will rise or unemployment stays high. You can't have both together. Nevertheless, the housing market is likely to avoid a serious drop for several reasons. Borrowers in most of Canada can’t simply walk away from their debts as many U.S. homeowners did and still keep doing. Most high-risk mortgages are insured against default through Canada Mortgage and Housing Corp., a government-owned corporation. So avoiding the next bubble shouldn't be as hard. Great article! Owning a home for the right reasons really should be ingrained in the financial consciousness of many people. A home, at its truest sense, is where one lives, and not only a piece of property where one can hope to make his or her money grow. You make some great points, especially about the down payment. Many people just assume that if they qualify for the loan then they are suited to buy the home but that's not true. 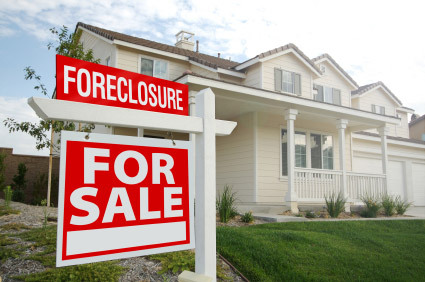 That mentality leads us to the home foreclosures happening all across the United States. I would say wait until you are truly ready to buy a home to buy a home. Some people wait until their 50s if they have to but at least when they buy that home, finally, they'll be able to actually KEEP it. Great advice, but one caveat: as someone involved in housing policy familiar with housing cost burdens like the one you cite from the Center for Housing Policy, I know that the majority of the people who fall into that category of people who spend more than 50% of their income on housing aren't there by choice. There has been and continues to be a real shortage of decent, affordable housing for people at the lower end of the wage spectrum in many parts of the country. Those people would love to be spending less of their income on housing, but when the alternative is - well, not there - there is little choice. What a great article. Thanks so much for explaining the piece about why you want to keep the payment at 25-28%. I knew the rule, but not the 'why' behind it. And your attitude about a house being a place to live and not buying if you might move in 3-5 years. Too True... Wish the military would get that concept. So many military have rental houses dotted all over the country and are now upside down... and their houses are in military communities in which there are always houses for sale... Not a good thing... thanks again.